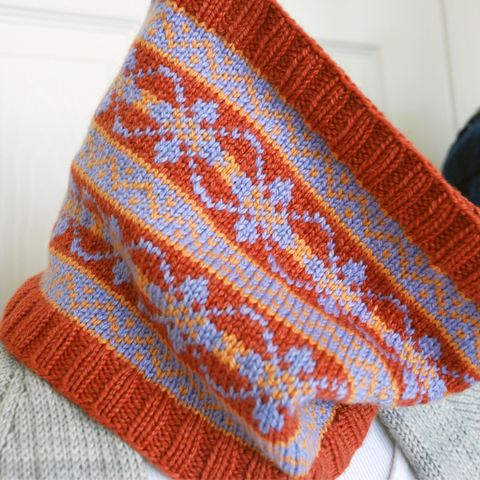 This clever cowl is the perfect project for giving colorwork a try. It makes a great class project and a classy accessory. Although it looks complex, only two colors are used per round. Knit in Stitch Sprouts Yellowstone yarn, this cowl is not only cozy but also colorful and silky soft. Perfect your stranded knitting technique with this fun and fast project! Choose from 3 colorway kits. Kit, including yarn and pattern, is included in cost of class, all you need to do is bring your needles! As soon as you register send me a message requesting which kit you’d like. There are limited amounts of each kit so register soon to get the one you want! Don’t miss out on this fun class! !